I am blown away by the generosity and love for the island that is so near and dear to all of our hearts. Our Help Anguilla Rebuild Now fund has raised $65,000.00 USD. Thank you for all of your kindness and support in helping to rebuild Anguilla. We exceeded what I thought we would ever be able to raise for Anguilla. We will be closing the fund on Monday, Oct. 2 for now. 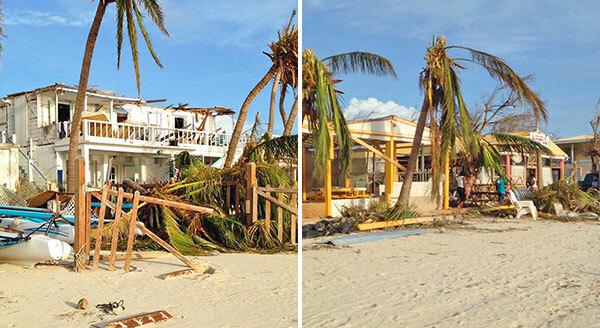 If you were thinking of donating and haven't yet, please click here to help rebuild Anguilla. The funds we raised are now being wired to the LOCAL Anguilla Red Cross. The Anguilla Red Cross has been distributing aid from the UK and DFiD to the most needy and are quickly developing a cash voucher program for the most vulnerable in Anguilla. Supermarkets are stocked with food, water and supplies. The funds we have raised will be transferred into vouchers to purchase food, water, rebuilding materials and medication (discussions with Van Roy Hodge, Director of the Anguilla Red Cross, show that insulin is badly needed and will continue to be a large need). Updates to come as the program gets underway. A huge thank you to Kendall R. Coleman, Jr. (CPA, CGMA, CCA). A Partner of Virginia-based CST Group with professional auditing experience, he has kindly volunteered to audit the account. All funds in, all funds out and how they are being used will be shared here. To bring the entire island back to where it was pre-Irma will be a long-term effort. If you are planning to visit Anguilla this winter, recovery has been proceeding at an encouraging pace. There will be a season. Internet and power is being restored. Roads and beaches have been cleared. Gas stations, banks, grocery stores and car rentals are open. Hotels & villas have announced re-opening dates and restaurants have begun to re-open. Trans Anguilla is flying into Anguilla daily from St. Kitts and Seaborne is resuming flights into Anguilla via San Juan. Anguilla has announced that it is expanding its runway to 5,400 feet and will be building a brand NEW terminal at Blowing Point. The Anguilla Tourist Board is developing a Voluntourism program. It will, of course, take many months to rebuild all of what was. The economy will take a hit with many big hotels (who employ a large percentage of the population) needing months to repair. 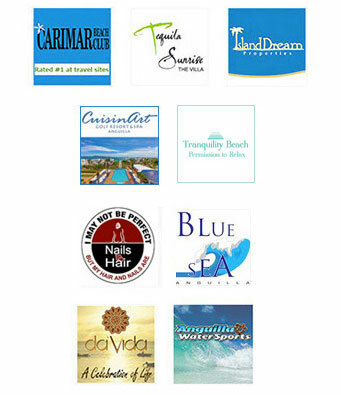 For more ways to help Anguilla, click here and continue reading for two wonderful initiatives. Cats and dogs, our life companions, have been badly affected by Irma. Anguilla's animal shelter, AARF has put out a call for help. The animals who survived Irma are in urgent need of care and food. Allow me to share with you our story... We have lived on the island of Anguilla for 11 years now. In 2010, right before Hurricane Earl struck, we saw two newborn kittens abandoned on the roadside. We decided to take them home knowing that if left there, they would have no chance of surviving the hurricane and its aftermath. Since that day these two siblings, brother and sister, are with us and a part of our family. They are 7 years old now and their names are Lucky and Penny which is fitting considering their good fortune. They got the chance that many other ones just like them didn't get. Today in 2017 , Hurricane Irma left in its destructive path many animals of all ages living with incredible difficulties. Just like Lucky and Penny in 2010, these animals also need immediate help in the way of shelter, food, clean water & medicine. On behalf of Lucky and Penny, we encourage you to please donate whatever you can to Anguilla's wonderful organization, AARF via their donation page here. This kind gesture can go a long way. Join Chef Marc Forgione on Sunday, October 15th for a Caribbean BBQ to help rebuild Anguilla. From all of Anguilla, thank you for your help as we rebuild. It is a long road, but together, we will get there. 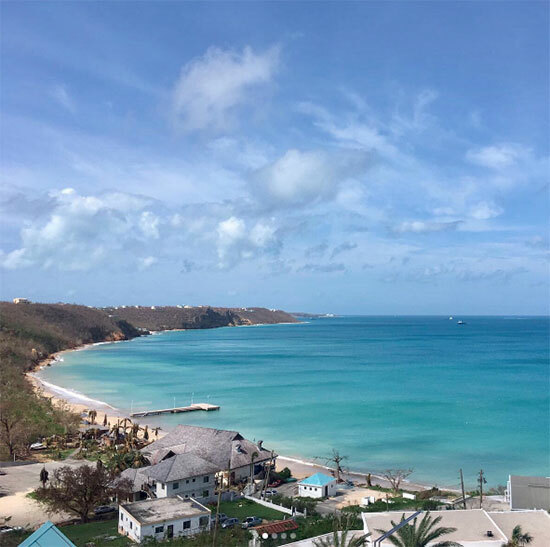 For the latest update on Anguilla post-Irma, please click here. To help Anguilla rebuild now, please click here.